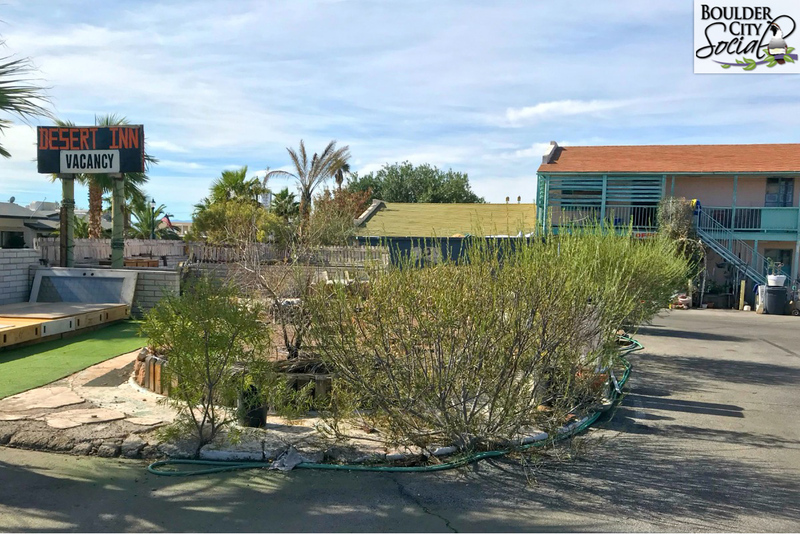 We have learned that as of yesterday, the Desert Inn, located at 800 Nevada Way here in Boulder City has a new owner! As of today it looks like that clearance sale has been wrapped up and we already see a dumpster on the premises. We hear that the owner is Janny Lamb, and that she has great plans for the place, featuring a ‘retro’ feel in the makeover. We have to say this is fantastic news to help improve the look of our town as one drives through on their way to downtown. We’ll keep you posted as we learn more, and can’t wait to welcome them personally!